Worried about your privacy? You should be. Online tracking makes it very tricky to keep things to yourself. Besides opening the door to ransomware, Trojans, and phishing attacks, browsers also give out some of your most private details: credit card info, passwords, websites you have accessed, personal interests, searches, and habits. We’ll talk more about how to fix that, but the first thing you should consider is getting a private browser, even if that means ditching your current one. An internet browser or web browser is the software you use to access your email, favorite sites, or anything online. It’s a lightweight program capable of translating the code web pages are built on into text, pictures, videos, or web applications that humans can understand and interact with. Every operating system has its own built-in browser, but there are dozens of independent programs available for free download. Both Google and Mozilla have open-source browser projects which allow developers to create their own software, so there are many alternatives out there. Our Avast Secure Browser is based on Google's Chromium (even Opera ditched their old in-house rendering engine in favor of it). Comodo IceDragon and Waterfox are Firefox-based. The Internet is full of mysteries, and cookies are probably one of its most confusing bits. Are they programs, are they files? Are they good, or are they bad? Should you allow websites to run them, or should you block them? Cookies are text files that contain various information about your browser, web activity, or computer. They can’t infect you with viruses. In fact, they don’t do anything, they simply sit on your computer and store details that your browser can quickly access, such as your login info, visited websites, or web activity. And that’s not always a bad thing. As a general rule, cookies are there to make using the Internet as smooth as possible. They work in the background to help online stores remember what you’ve added to your shopping cart, they save your login info so you don’t have to enter it each time you open Facebook. Harmless! But many of them also use trackers that map where you’ve been and what you’ve searched for, giving away private information such as your interests and preferences, your symptoms and concerns, or your future plans, from traveling to getting a new job. More importantly, all of this information can be used to target you with ads and marketing messages, so if you’re uncomfortable with advertisers, marketers (or the government, for that matter) gathering information on you, you’ll be interested to know more about which cookies are good and which ones are bad. Session cookies (also known as in-memory cookies or transient cookies) are temporary files that only stay on your computer while you’re surfing the web. They don’t store any user information, but they allow you to navigate through different pages of a website without having to log in each time, or help your browser remember which items you added to the shopping cart. Session cookies are deleted once you close your browser. Persistent cookies have a specific date or length of time attached to them. 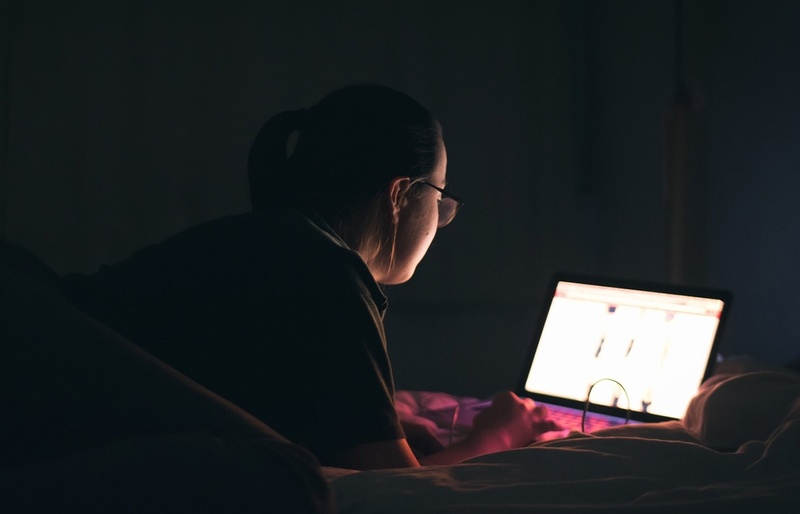 While they’re active they send out information about your browsing habits, allowing advertisers to track you (which is why they’re often referred to as tracking cookies). However, they can also be used to keep you logged in, so you don’t have to enter your username and password each time you visit. Third-party cookies belong to other domains than the one you’re currently on. These are usually planted by companies or organizations who’ve bought ad space on a website and want to use their own methods to serve you targeted ads. Third-party cookies are the reason why you keep seeing the same ads for the same products on every website you visit. Flash cookies are stored locally on your computer, without your explicit permission. You may not even be aware they’re there! You can’t control them from your browser settings and they don’t get deleted with your regular web cookies either, which means they’ll stay on your PC until manually removed. They can store useful information, such as your game progress, but they can also be used to track your visits or reveal your settings. Supercookies, permacookies, or zombie cookies are bits of code saved in multiple locations on your computer, in addition to the web cookies saved in your browser (most commonly in your Adobe Flash directory). This makes them hard to locate and get rid of, and even if your browser is configured to clear cookies it won’t be able to wipe the ones stored in other folders. 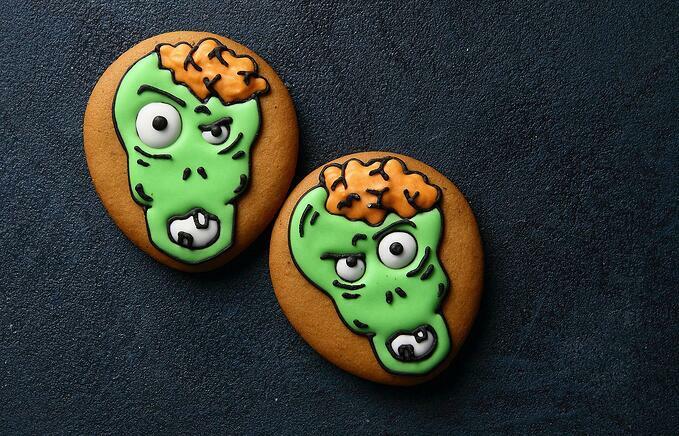 What’s more, zombie cookies replicate your web cookies after they’ve been deleted, so you’ll continue to be tracked until you’ve killed off all the zombies. Researchers at the University of Washington found that 75% of the world’s most popular websites use tracking tools. Each site can use dozens of its own cookies, plus a number of third-party trackers that constantly collect information on you. In fact, another study published by Mascherari Press has found that hundreds of popular websites are wired to a complex infrastructure dubbed The Information-Tracking Superhighway, allowing all third-party trackers to freely access massive amounts of data across the so-called superhighway. And now prepare to freak out: there are companies out there that own an average of 3,000 pieces of data about each of the 350 million people in their database. What do they know about you? Anything from your location, favorite restaurants, your habits or the websites you visited, to more personal data such as medical info or credit scores. Cookies are one way of tracking your activity, but thanks to online fingerprinting, websites can also tell who you are. How? They collect information about your device, operating system, fonts, screen resolution, color depth, timezone, browser version, plugins, and other settings (i.e. whether you block cookies or ads). On top of all this, data companies and advertisers behind each website track your activity. They know which articles you read and which ones you skipped; which videos you watched, and which ones you stopped after 3 seconds; which promotional emails you read, and which ones you sent to your Trash folder without even opening them; what topics you’re interested in, which ads you’ve hidden hated, which Facebook posts you liked, or which Tweets you retweeted. It might seem harmless. Who cares if advertisers know what fonts you’re using, right? Wrong. 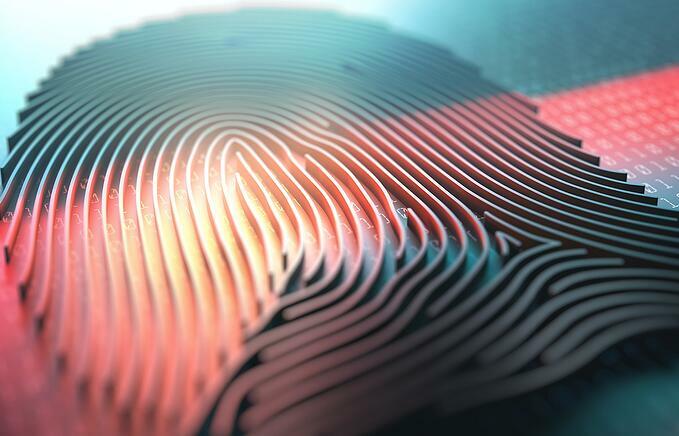 When put together, all these bits of information make up your unique digital fingerprint, allowing websites to identify you, then show ads specially tailored to your taste and needs. From deleting or disabling cookies to switching to a private browser, there are many things you can do to reduce the amount of personal information you put out there every day. Let’s see how you can cover your tracks online. Websites need cookies to look and work properly, and that makes hiding from advertisers pretty difficult. You could disable cookies and Flash, but surfing the web isn’t much fun when you have to log in to every account on every visit, can’t do your shopping because nothing gets saved in your cart, can’t view animations, or when your browser keeps freezing and crashing. The safest option is to disable third-party tracking and regularly clear cookies. This will give you a greater level of Internet privacy, while at the same time allowing you to shop and surf as usual. Cookies are stored in your web browser, so you need to go to your privacy settings and explore the available options, which may vary from one browser to another. Plugins, add-ons, or extensions… We may have different names for them, but they all serve the same purpose: to improve your browsing experience. These lightweight pieces of software are installed on top of your browser to add new functionalities that the browser itself is unable to do. Privacy add-ons can be used to block tracking cookies, scripts, and online ads. Some of them work in the background, while others need to be enabled before they can work, or even configured. Some of them are free, others are paid, so take your time to do research, check ratings, instructions, and user feedback before you install anything. Then there’s anti-tracking software, like Avast AntiTrack Premium, which allows you to see who’s tracking you and block them, mask your digital fingerprint, and get full control over all your browsers through various privacy features and settings. These apps usually install an extension to your browser, but are controlled from their own dashboard. Configuring your browser can be complicated, and if you don’t know what you’re doing you’ll just end up with broken web pages. Installing too many add-ons isn’t a good idea either, because it can seriously slow you down. The rise of tracking technology has motivated developers to build their own browsers with built-in privacy features and settings that give you control over what information you share, who you share it with, and how. Tor (The Onion Router) was launched in 2002 as one of the first anonymous networks. The group behind the Tor Project has also built a browser which, instead of connecting to websites directly, goes through a number of volunteer-operated servers worldwide, forming a web of virtual tunnels to help keep your activity private. Tor comes with pre-configured privacy settings, it’s portable, and you can even run it off a flash drive. It’s completely free, available on Windows, Mac, Linux, and Android. It hides your history, online posts, instant messages, and all online communication. Although it’s slower than other browsers, Internet freedom activists recommend it and even journalists use it to get in touch with sources who need to keep their activity and whereabouts confidential, such as whistleblowers. But there are dozens of free private browsers out there (besides Tor, Epic and Comodo are the most popular ones), many of them built on the same framework as Chrome or Firefox. And not to brag, but we also have our own Avast Secure Browser, which not only stops tracking and fingerprinting, but also automatically blocks ads to give you more speed and comes with additional security features. VPNs come as standalone apps or browser extensions, and can be free or paid. Besides protecting you on public Wi-Fi networks by encrypting your connection, or helping you get around content blocks by allowing you to change your location, they also conceal your Internet Protocol address (IP), effectively hiding your activity from your Internet Service Provider (ISP). Why should you care? Because your ISP is allowed (if not obligated) to gather and keep records of your browsing history. In some countries, including the USA, they can even sell your data without your consent. While a VPN won’t prevent cookies from being saved on your computer or stop advertisers from profiling you, it’s an essential tool for those concerned with their online security and privacy. Bear in mind that some free products often work against you: they might hide you from hackers, your ISP, or government surveillance, but they can also be doing their own data profiling, or opening the door to countless security risks. Incognito Mode, Private Browsing, or InPrivate window — each browser has a different name for it, but what does it do to protect your privacy? The short answer is: not much. All it does is keep your activity hidden from people using the same computer, by preventing your history from being saved on your hard drive. Your searches, the pages you visit, or the information you enter when logging in or filling out online forms will not be saved. Your download history isn’t saved either, but your files will remain on your computer after you close your browser. For an extra layer of privacy, Firefox also offers tracking protection, while Opera allows you to use a VPN. The feature certainly comes in handy when you’re browsing from a public computer (at an Internet café or an airport), when you’re shopping for gifts and don’t want to ruin the surprise, or when you don’t want your spouse to see what you’ve been doing online. However, private browsing mode does not offer complete privacy, as your Internet Service Provider, routers, firewalls, and proxies can still track your activity. Some proxy servers are better than others, but if you think they hide you from your employer or the government, for example, you’re wrong. Keep in mind that authorities can always request to access your online history. We hope this article has helped you understand how browsers and cookies work, and more importantly how to stop invasive online tracking. Why not start by giving our Avast Secure Browser a try? Just like our award-winning antivirus, it’s entirely free! And if you don’t want to change browsers, our Avast AntiTrack Premium app helps mask your online identity to get advertisers off your back.